The Mango season has started already and I was thrust upon around a dozen mangoes from a known person. 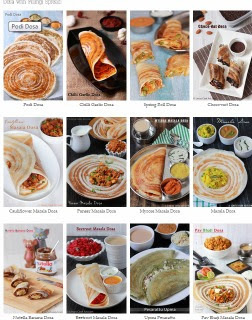 The same friend who gave me around 10 mangoes last year too and made me concoct raw mango recipes such as pickle, rasam, rice, thayir kadugu manga,..etc with them. I was not entirely happy with the photographs of the pachadi which I had prepared last year I decided to prepare the same recipe & come out with a better photograph to share with you. 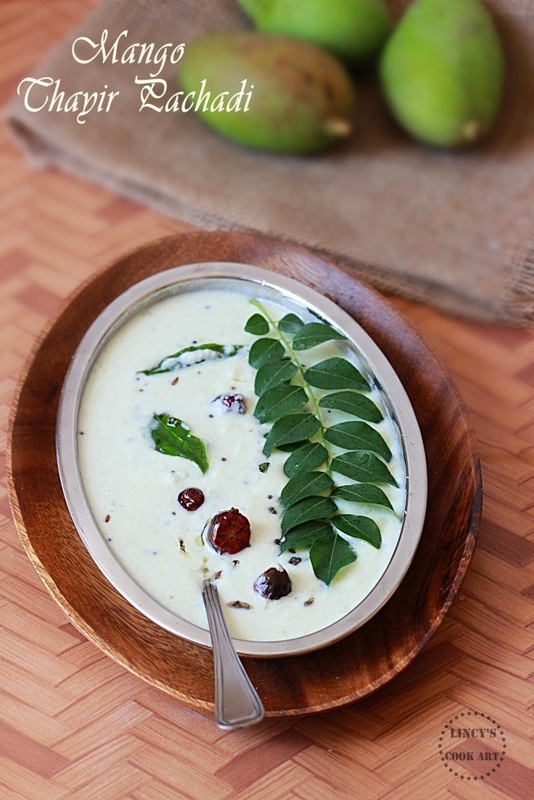 This is a different take of the other pachadi I have shared earlier the Kerala thayir kadugumanga which is served for Onam sadya. That recipe includes red chilli powder and mustard powder. This recipe totally varies in taste as well as texture with the addition of ginger and green chillies. Tastes similar to the gooseberry pachadi. Peel and cut the green mango in to pieces. In a blender jar add the coconut, green mango, green chillies, ginger(or) mustard seeds and blend as a coarse paste. 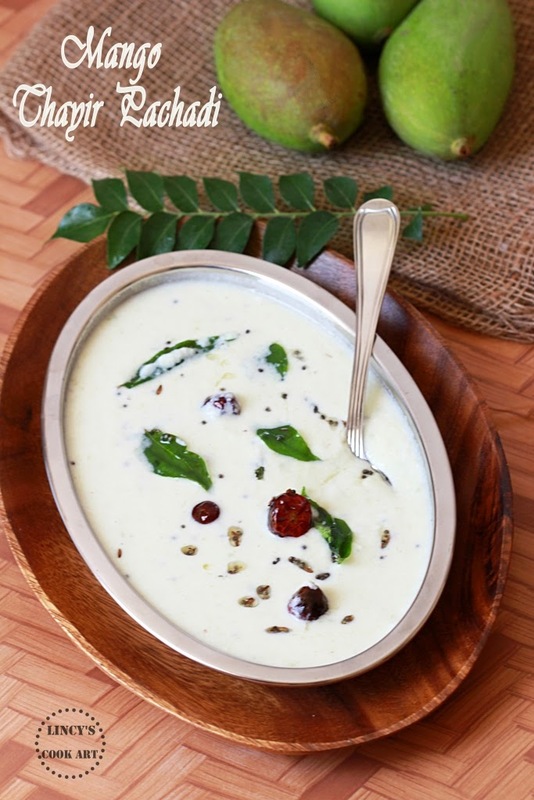 To make this pachadi in Kerala style add mustard seeds in Tamil style use ginger. In a bowl take the yogurt and add salt; beat well without any lumps using a spoon or normal whisk. Now add the ground ingredients and mix well. Add little water if required to dilute the pachadi. In a pan heat the oil and splutter the mustard seeds then add the dry red chillies and curry leaves and fry till crisp. Add asafetida and immediately switch off the gas. If you feel the pachadi is sour add a pinch of sugar to balance the sour taste. lovely pachadi, love the slight tangy flavor in this one..
yummy and i love the combo of both mango and yogurt.i made it with the chunks without grinding it.